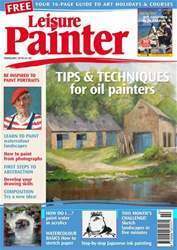 PaintersOnline, Leisure Painter and The Artist have teamed up with STAEDTLER to offer you the chance to win one of two complete sets of their new Art Range, worth more than £128(rrp) each. Leading stationery manufacturer STAEDTLER has expanded its product portfolio with the launch of a new range of art materials comprising sketching, drawing, colouring and painting products. Offering quality, precision and consistent colour, the new range is designed for adult colourists wishing to explore and expand their creative potential and hobby artists who want high-quality products at competitive prices. 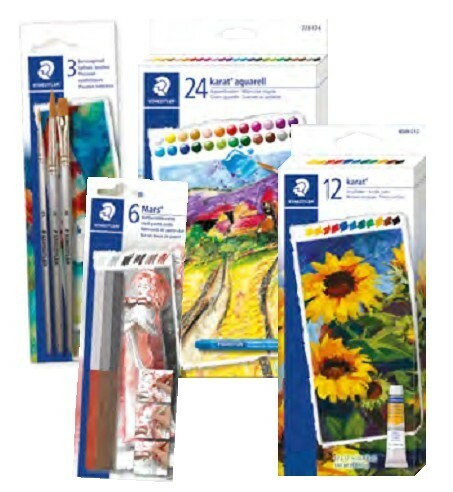 STAEDTLER has introduced the new collection of paints, brushes and charcoal to sit alongside its extensive range of black lead and coloured pencils, oil pastels and soft pastel chalks to offer artists a truly comprehensive range.